Owning an electronic tablet can be both useful and fun. Streaming content, including music and video, as well as a variety of handy apps, allow you to enjoy hours of media wherever you can connect to a Wi-Fi network. You can also carry along downloaded content with you wherever you travel, which gives you instant access to entertainment at the touch of a button. 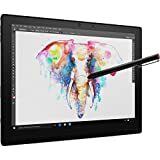 If you have been browsing different brands and are considering a Lenovo tablet, we have gathered information about some of the most popular models to help you compare the prices, features and advantages of each so that you can feel confident about choosing the best option when it comes to your portable electronics needs. Do I need a tablet if I already have a smartphone? If you enjoy watching movies and gaming, and if you want a device that can help you get work done while on the go, you might appreciate a Lenovo tablet for its larger screen and keyboarding abilities. 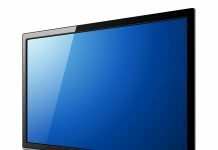 Screen sizes range from 7 inches to 13 inches, and many models include HD-quality graphics. Do all tablets cost the same? No. The price of a tablet can range from around $100 to over $500 depending on its memory storage ability, the type of processor it has and how many functions it can perform. The Lenovo tablet Miix series, for example, includes some costly models that can operate as a laptop as well as a tablet. Do I need to know how to use a computer to use a tablet? In general, it is simple to learn a tablet’s functions. Apps open with one touch and there is usually a built-in help section to teach you how to navigate the screen. If you are new to the world of tablets, you may want to start off with one that is user-friendly and has limited functions until you become proficient. 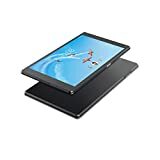 What kind of accessories can I buy with a tablet? Depending on its functionality, you can add a wireless keyboard, external speakers, or a stylus pen for drawing. A protective case with a kickstand for easy viewing is also usually recommended. Some accessories are included with Lenovo tablets and some are sold separately. What is an SD card and do I need one? A secure digital card, or SD card, allows you to add storage to your tablet if it has a micro slot. Many users find it convenient for downloading movies and music without using the tablet’s internal hard drive. However, not all tablets have an SD card slot. In order to offer you a comprehensive Lenovo tablet review and guide, we gathered data about each device that made our list. We noted what made it stand out and why. We then compared prices, functionality and speed, as these are usually important factors to consumers when they shop for a tablet. Our list includes data you can compare at a glance so you can make the best possible choice. 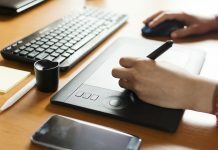 Read on, and then start enjoying your new tablet soon rather than spending hours reading multiple reviews that only discuss one or two models. As mentioned earlier, what you pay for a Lenovo tablet will depend on the features and functions you are looking for. 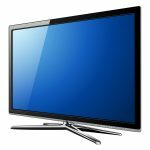 Some basic models can be purchased for under $100, while high-end models with HD screens and other quality key features can cost over $400. Two-in-one tablets that double as slim laptops can reach the $1,000 mark and over. While your budget will likely play a part in which you choose, you may want to be sure of what you are looking for in terms of functionality to avoid being frustrated and disappointed later on. The Lenovo tablets listed below caught our eye for a variety of reasons. As you browse the list, try to keep in mind what you want most out of a Lenovo tablet. That way, you can eliminate any models that do not meet your criteria. We included a variety of tablets to give you a wider range of information, including 2-in-1 models, so you can discover what the Lenovo company has to offer beyond basic options. Key features: Model comes in both 8-inch and 10-inch screen options, with a multi-touch display and 16 GB of storage for games and downloaded content. This tablet is powerful enough to run streaming media, such as Netflix, and gives you the ability to check your email and browse the internet as well. Key features: Can support multiple accounts for different family members, FHD display with a 10.1-inch screen, Dolby sound and 64GB of storage. Powerful enough for work or play. Can connect to a variety of 4G networks, fingerprint and voice command features, compatible with Bluetooth keyboards. We chose the Ideapad Miix 700 as the ideal tablet because of its wide variety of features and its multitude of functions. This Lenovo 2-in-1 tablet is thin and lightweight, which allows you to carry and hold it with ease and comfort. The detachable keyboard is included, along with the functional Active Pen, which allows you to draw directly on the screen. We think this is a great feature if you are a creative person who wants to take all of your ideas on the go. We also like the advanced security features here, which include facial recognition. Your tablet recognizes you personally and then auto-locks when it no longer detects your image. This is an innovative feature that is perfect if you plan to use your Miix 700 in public. 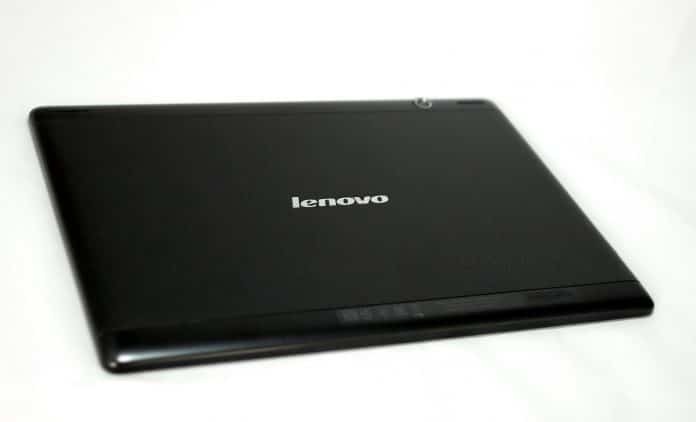 We also find this Lenovo tablet to be one of the most versatile in the group. Because it runs Windows 10 and its processor is fast enough to handle most large programs, it is quite suitable for business use. If you own a small business, this 2-in-1 may be the perfect partner for you. Its screen and outstanding HD graphics, along with the large 13-inch screen, also make it a powerful entertainment tablet. We find the Miix 700 to blend the best of work and play, no matter where you take it. While it may be one of the more expensive tablets on our list, its multiple features, sleek appearance and versatility could be worth your while, and the manufacturer’s website offers financing for this device as well. Our list of Lenovo tablets is designed to help you make the best choice for your mobile work and entertainment needs, no matter if you are buying your first tablet or replacing an older model. While we realize each person’s budget and tastes differ, it is important that you have some idea what you are looking for when it comes to functionality. Before you shop, you may want to take the time to write down which factors matter most to you, such as battery life, memory capability or screen quality. This may help you shop with more efficiency and ease. Whether you are looking for a tablet with simple functions or one that can handle whatever you throw at it each day, taking the time to compare different features, prices and functions can help ensure that you find that perfect Lenovo tablet.